Tools for making things, and for cleaning around the house. Sometimes you need the cleaning tools because you made a mess with the making tools! 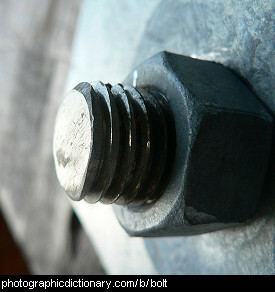 A bolt is very similar to a screw but a bolt goes right through whatever you are using it to fasten, and out the other side. The thread on the bolt sticks out the other side and you screw on a nut and washer to hold the bolt tight. 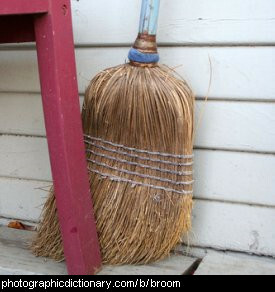 A broom is a brush on the end of a long stick that is used for sweeping loose dirt off a floor. Brooms do not work very well on carpeted floors so most people use vacuum cleaners instead. 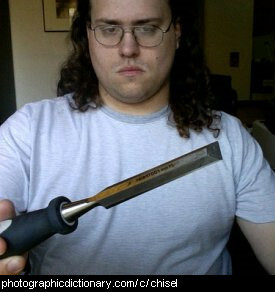 A chisel has a sharp edge at one end. 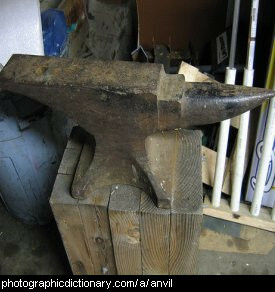 It is used for carving or cutting something hard like wood, stone, or metal. 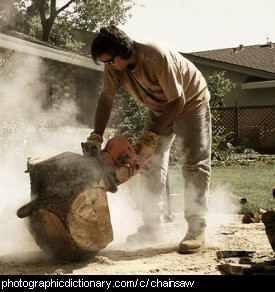 Chisels are usually used by hitting them on the end of the handle with a hammer to force them into whatever you are trying to cut. 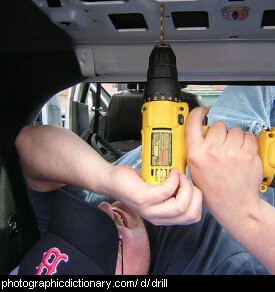 A clamp is a device that is used to hold something tightly. Clamps can be used to hold things such as two pieces of wood together so that they can be worked on without them slipping apart. 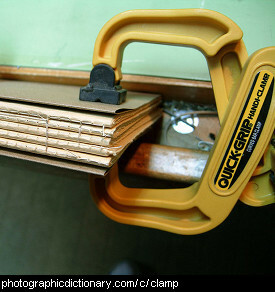 You often clamp materials together after they are glued, to stop any movement before the glue has completely dried. 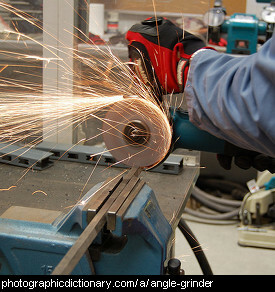 Clamping generally means something means holding it so that it cannot move. 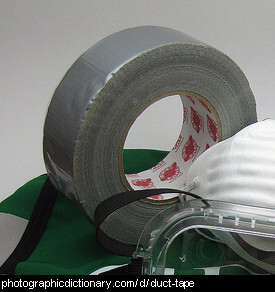 Duct tape, also called duck tape, is a type of cloth-backed tape that is often coated with plastic on the non-sticky side. 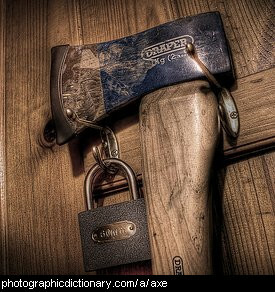 Duct tape is extremely strong and sticky, and can be used to repair a huge variety of things. Some people make things like clothing out of duct tape.